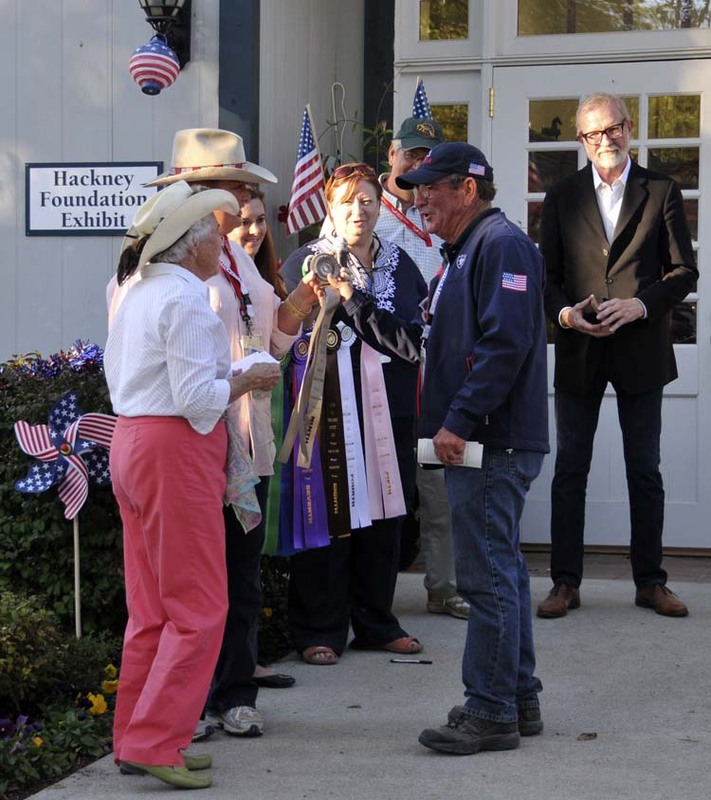 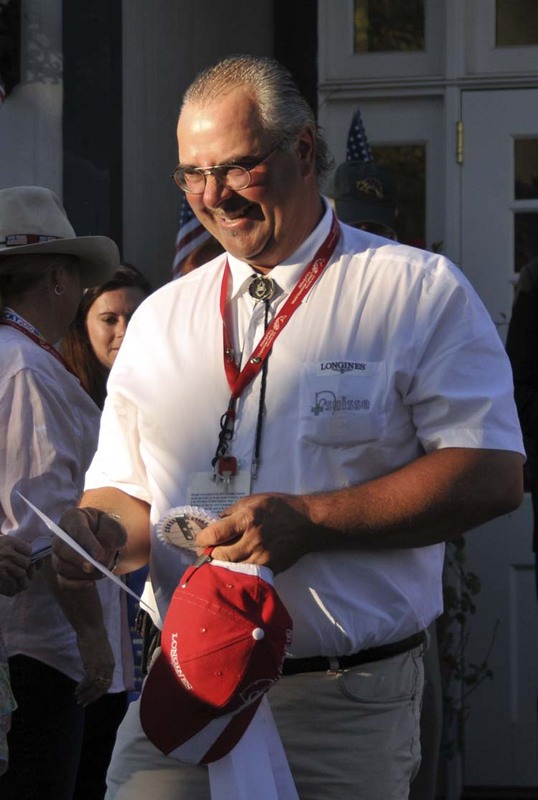 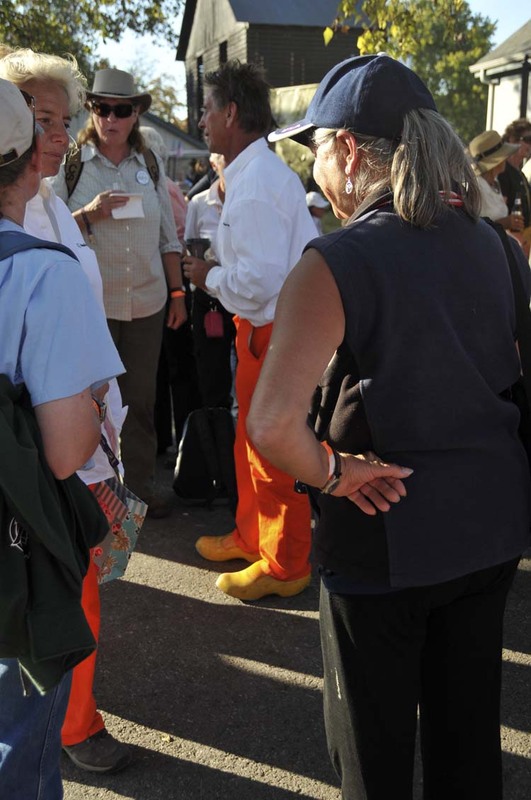 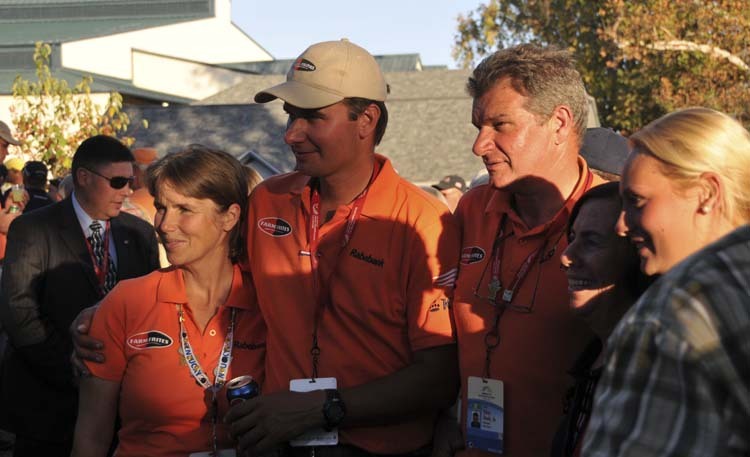 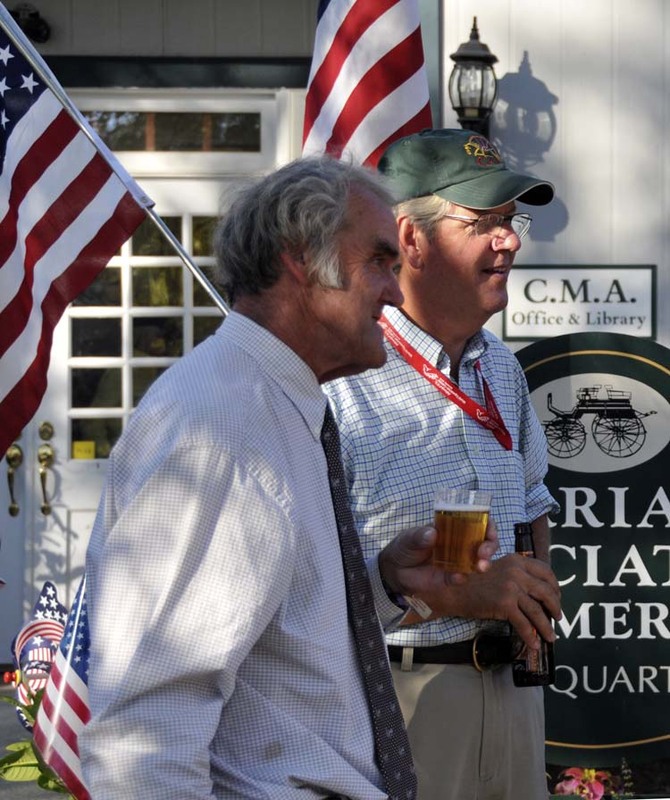 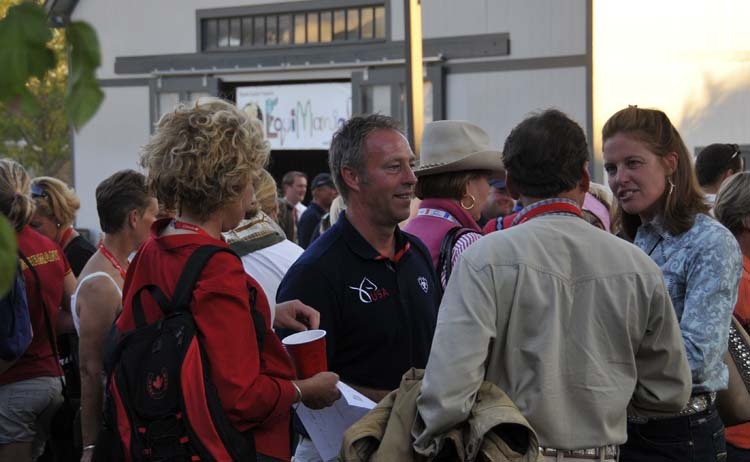 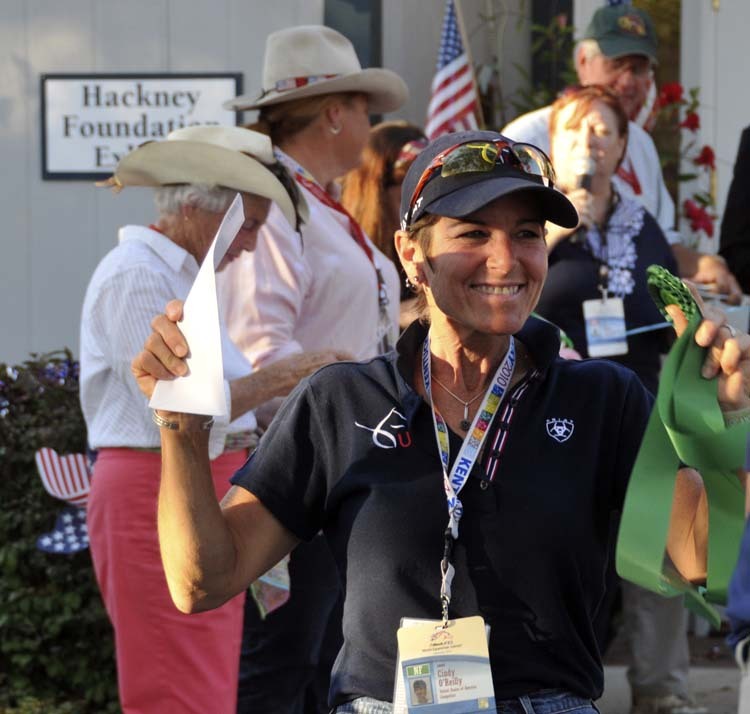 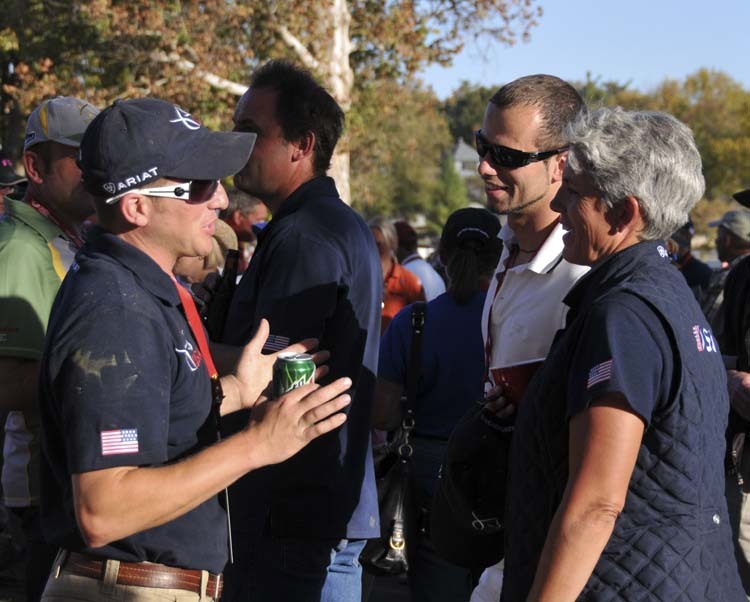 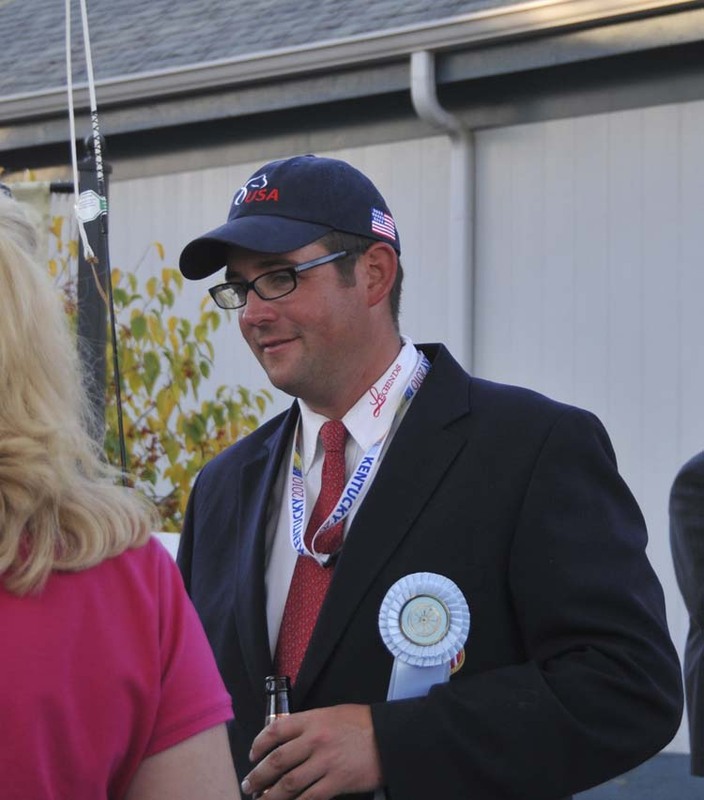 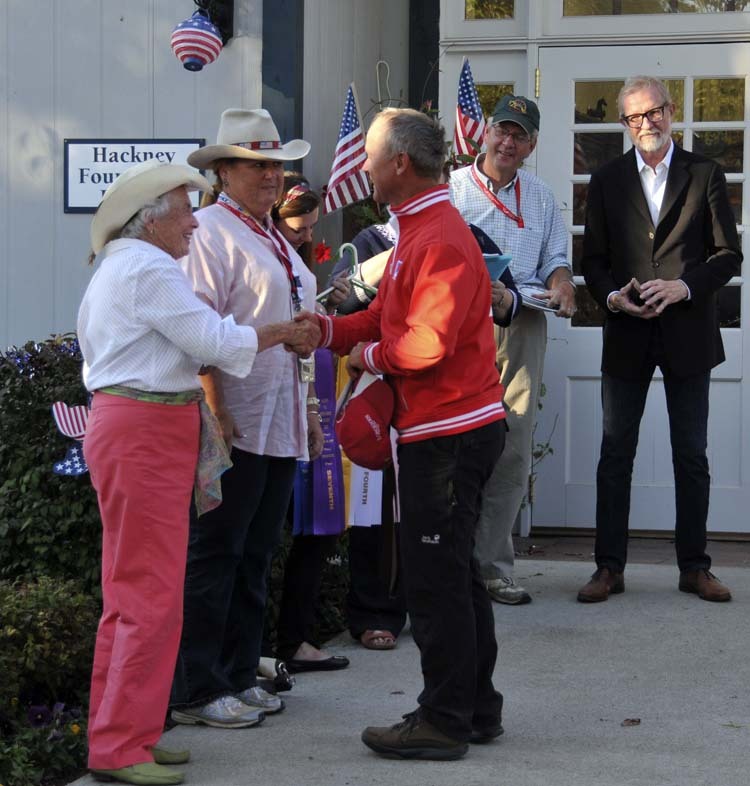 On the final Saturday evening of the WEG, the CAA, Steve Wilson, Laura Lee Brown, and the Hermitage International Training Center hosted an “End of the Marathon!” party for nearly three hundred people — everyone on the CAA’s trip to the WEG, and all the drivers, grooms, etc. 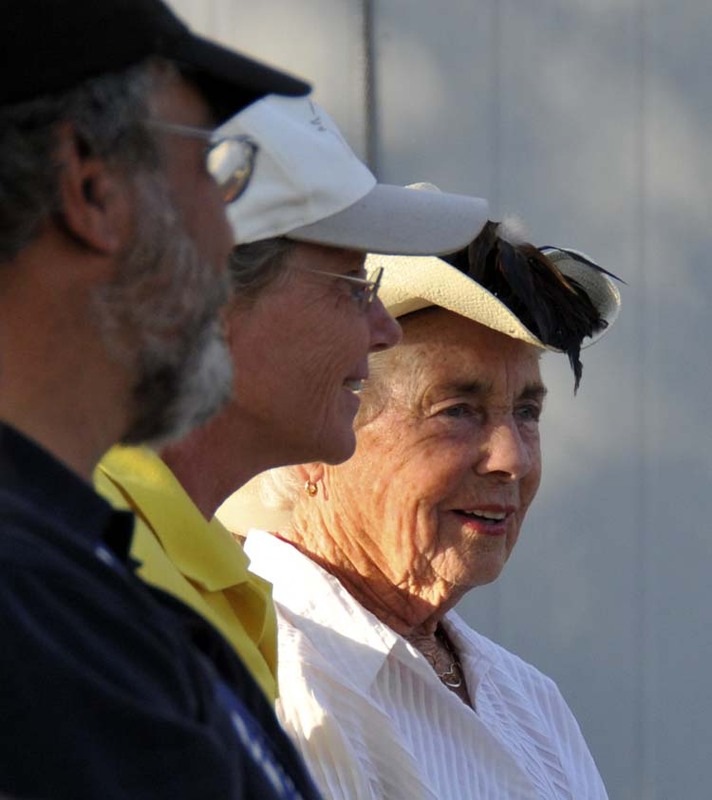 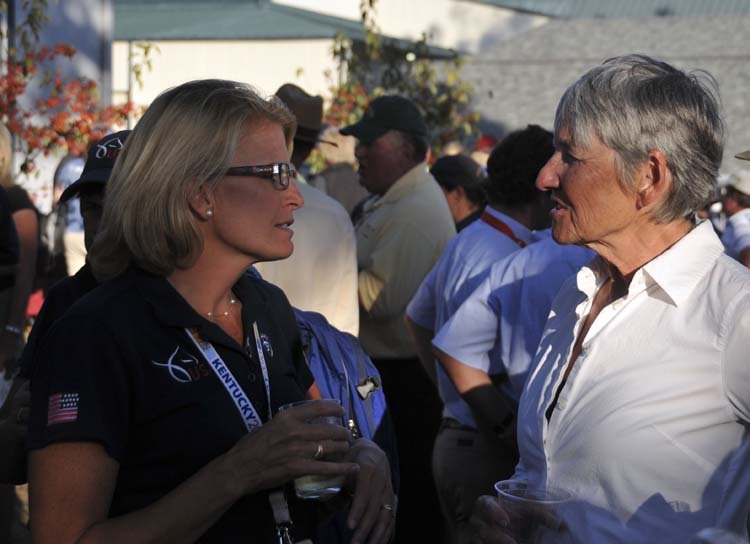 I even saw Kentucky’s First Lady Jane Beshear and Alston Kerr, chair of the Kentucky Horse Park Commission. 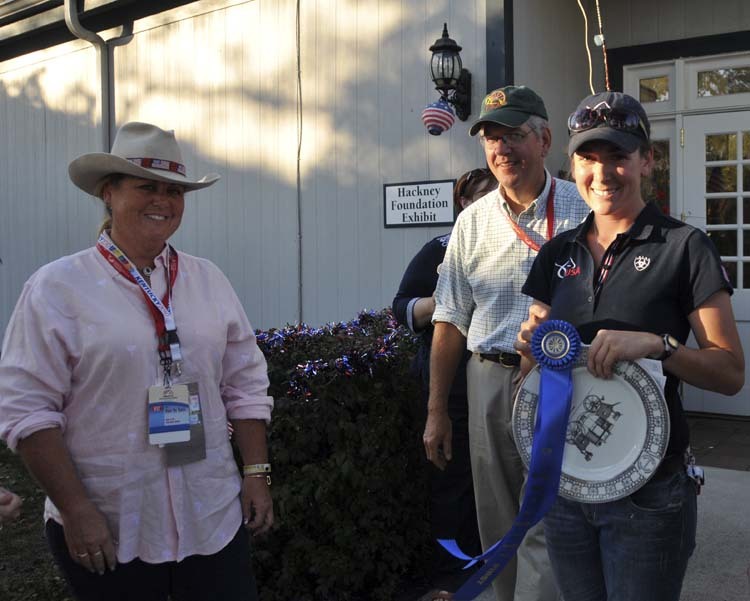 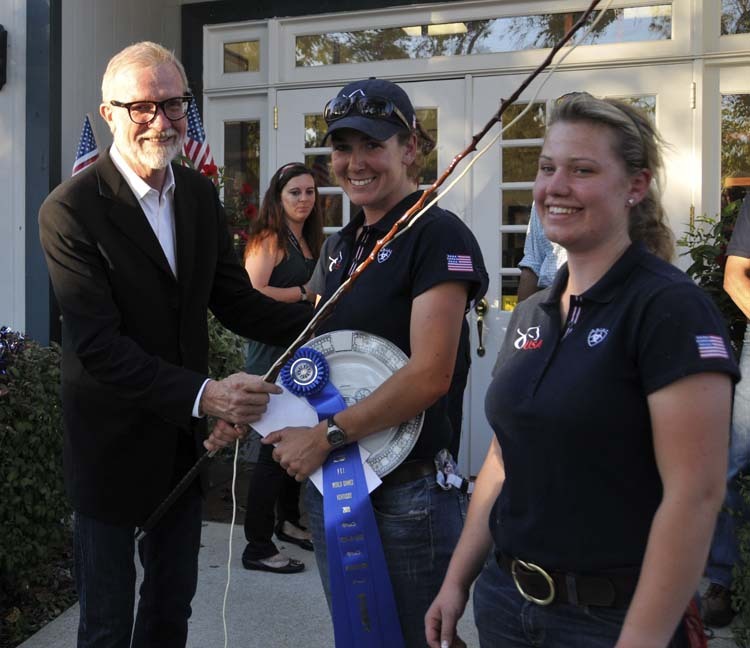 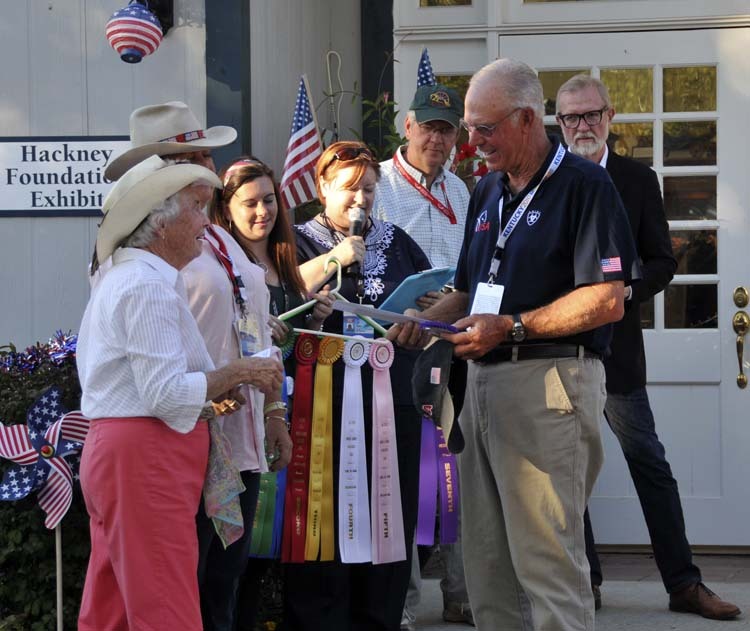 During the party, Jill, Colonel Davis (CAA president), and Kate & Katie Whaley presented the awards for the WEG’s Presentation competition, which was sponsored by the CAA. 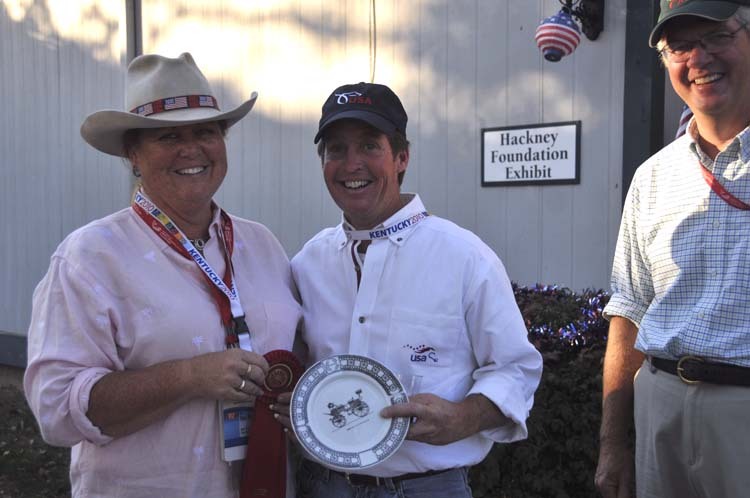 There were ribbons and cash prizes for the first- through tenth-place winners, plus other special awards: a holly whip for first place (donated by Fleck Whips of Germany and presented by Driving Essentials) and commemorative plates for the first-, second-, and third-place winners, each hand painted by artist Graciela Giacosa of Argentina.